“Do you charge when someone calls you to ask for a refill?” a colleague asks me. Once again, I feel the contradictory pulls of my older colleagues who would say “no way” and my younger colleagues who would say “time is time”. Do I bill like a lawyer or an accountant who charges for their time or do I bill like an old-time physician who charges for a service? Or, as one would imagine, is there some combination of service and time which goes into this fuzzy world of billing? Emails take time. Phone calls take time. Faxes take time. Prior authorizations, letters for insurance, letters for school, they all take time too. Sure, billing for my time makes sense. Time is limited. I have to figure out a way to use it most efficiently and effectively. On the other hand, there is a service aspect to what I do, which would get lost if every minute was “on the clock”. It is a tough question. I have to think about it. Cedar Rapids: A Character Study Comedy? Tim Lippe (Ed Helms) is a man who has a painfully undeveloped superego. 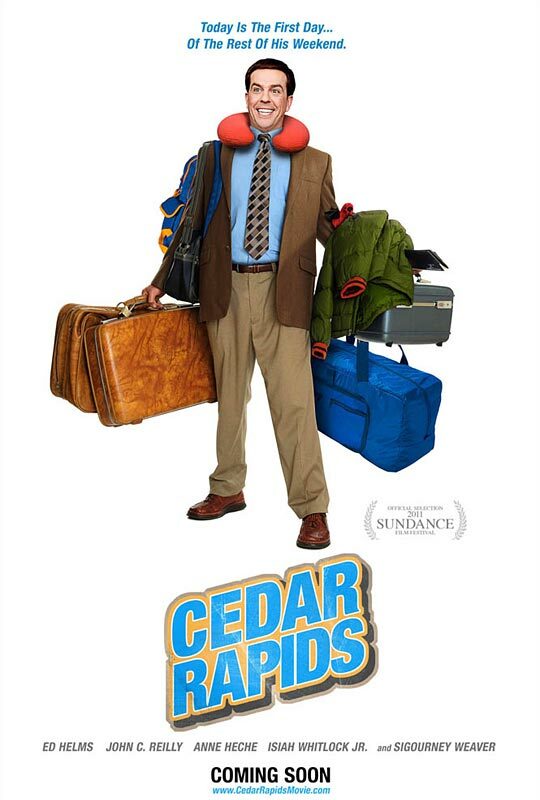 As Wikipedia says http://en.wikipedia.org/wiki/Cedar_Rapids_(film) “To call insurance agent Tim Lippe (Ed Helms) ‘naive’ is a gross understatement.” As I learned , in bits, about his childhood history, Tim’s character becomes pathetic, sad, and funny, all at the same time. He appears to have no judgment, which made me feel annoyed at him, but then other times, his innocence was both refreshing and charming. He was painfully looking for love and acceptance, which he tried to get by loving and accepting others, in a way which made him look desperate, not in a way that made him generous of spirit and kindness. Tim was a frustrating character, because I felt that if only he had a little more guidance in life, he could have made better decisions for himself. Yet, if he had a more protective shepherd, then this would not be a comedy. The humor, the pleasure in the film, is looking at someone’s life, but not living it. We can see Tim’s collision course; it is obvious and almost amusing to the outsider, yet so dark to the insider. ‘Cedar Rapids’ reminds us why we have such a dark pleasure in making fun of other people’s lack of sophistication. We want to see our own innocence as cute, but the innocence of others as “immature.” This split between the beauty of childhood thought and its subsequent liabilities is a great diversion from one’s own attempt at personal integration. The movie is fun, mostly, stupid sometimes. That’s OK. Better to laugh and cry with Tim, then to look inward and feel one’s own pain, to look at one’s own bad decisions, at least for a while. Tom, https://shirahvollmermd.wordpress.com/2011/02/16/mobilize/, twenty-four, told me about his new class entitled “The History of the Sixties.” “How old is your teacher?” I wondered, since for some, the sixties does not feel like history. “Oh, he is old, maybe early fifties,” Tom says, oblivious to how I might feel about such a comment. I was suddenly struck that in Tom’s eyes, I must be ‘old’. I understand that I am a parental figure in his eyes, and therefore, he sees me as a lot older than he is, but that he might see me as ‘old’ shocked me. My narcissism penetrated my thoughts. I wanted to stop his train of thought and remind him that I am not old, but of course, the conversation was not about me, or my age, but about how Tom is adjusting to being back in school. We returned to his life, his feelings about where he is going, and how he feels he does not measure up to the expectations of his parents. I thought about how Tom might perceive himself as younger than his stated age, given his feelings of inadequacies, and how he might perceive those who have a direction in life to be ‘older’. At the same time, I am aware that age, and feeling a certain age, is so subjective, so fascinating. Tom https://shirahvollmermd.wordpress.com/2010/09/15/success-rebellion/ describes painful loneliness and sadness. “You know, sometimes I wonder if your loneliness and sadness are a way for you to get back at your mom to show her what a lousy job she did raising you. 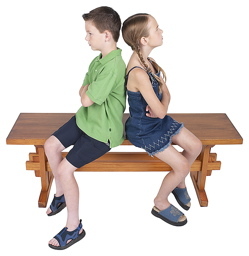 I wonder that, unconsciously speaking, you want to maintain your inner pain in order to prove to her that she was an inadequate mom.” Tom looks at me with wonder and some anger over suggesting that he is causing his own pain. “What am I supposed to do Dr. Vollmer? I had a difficult childhood. I had no friends. I had an isolated life. That was my mom’s fault. It is not easy for me to make friends now and I blame her for that.” Tom says through his tears. “I understand that, and I feel for you around that, but at the same time, you are an adult now and you are capable of creating a meaningful social network.” I say, hoping that I am not sounding too harsh, but at the same time, wanting to empower him to change his life. “That is really hard for me,” Tom says with more intense anger. “Yes, I understand it is hard and I understand that your past experience might make it harder, but you are still a bright, engaging young man and you have the capacity to have really good friends.” I say, both reminding him of his strengths and reminding him that he is not using his skills to make his life better. “I will have to think about that Dr. Vollmer, but my mom really did screw up my life.” Tom says, as if trying to convince me. “Yes, I understand that is how you feel, but hopefully she did not paralyze you. You can mobilize yourself into actions which will help you feel less lonely.” I say, not thinking too much about my choice of words. “Mobilize,” Tom says, “that is an interesting choice of words. It makes it sound like I have to prepare for a fight, like in the army.” Tom says, free associating to my comment. “I guess that is what it feels like for you,” I say, implying that although it was my choice of words, he took the word ‘mobilize’ in a direction that I did not expect. “Let the battle begin,” Tom says with good humor and calmness.